Savannah, Ga is one of the most haunted cities in America. It has been so important to American history ever since it was founded as a debtor prison in 1733. Now it is one of the richest cities in the country. Savannah was the scene of the second bloodiest battle of the Revolutionary War. The Civil War waged all around it and, if not for the forward thinking of its citizens, it would have been burned by Sherman during his bloody “March to the Sea”. Savannah was then given by Sherman to President Lincoln as a Christmas present; this would be President Lincoln’s last Christmas alive. As you can tell, Savannah is a city with a past rich in both history and blood. The city of Savannah was built to be a perfect utopia. The city’s design was based on magical symbols. It is a city with a ghost in each square and almost every home, restaurant, bar, shop and hotel. It was a town where pirates walked the city streets and slaves were sold like property. It is a city with Revolutionary War and Civil War battles fought on its very streets. A city of Southern Elegance and dark mysteries, Savannah is like no other and has been called “America ’s Most Haunted City” by several leading paranormal investigators. As our work in this city intensifies, I have reached out to some of the most famous people in this field. We are working on several projects to allow you a better chance to experience the city like never before. We are adding tours and upcoming investigations of some of the most haunted and under investigated areas in the city. We really hope you take a chance to check us out and also help me introduce my partner in these endeavors, Mark Nesbitt. When the Ghost Hunters tv show came to Savannah, they picked locations we had already investigated. Come out and see why! 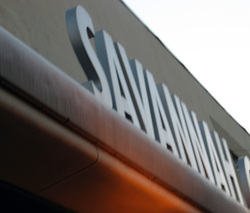 As always, please check out our Events page to see when our next trip to Savannah is scheduled.